Day two of the U.S. stock market sell-off resulted on Thursday, as was the case the day prior, in oil prices dropping - this time by a whopping 3 percent - with the losses also said to be incurred by news of rising U.S. stockpiles. 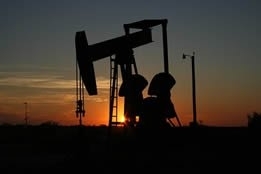 Brent fell $2.83, or 3.4 percent, to $80.26 per barrel, while West Texas Intermediate ended Thursday's session down $2.20, or 3 percent, to $70.97, as American equity markets continued to fall (due to solid economic data reinforcing expectations of multiple interest rate hikes) and the Energy Information Administration reporting that U.S. crude inventories rose 6 million barrels last week, more than double analysts' expectations of a 2.6 million barrel increase. The EIA added that U.S. oil output is expected to rise 1.39 million barrels per day (bpd) to a record 10.74 million bpd, and Goldman Sachs in a new report stated that it thinks U.S. shale can continue to increase by 1 million bpd every year until 2021. Also on Thursday, the Organization of the Petroleum Exporting Countries (OPEC) reduced its forecast of global crude demand growth next year for a third straight month, citing as the reasons trade disputes and volatile emerging markets impacting global economies. Plus, for analysts who tend to evoke the apocalypse when short-term calamities arise, producers in the Gulf of Mexico were beginning to return crews to more than 90 offshore facilities evacuated this week due to Hurricane Michael. All of these elements combined would again challenge the contention by many experts that the U.S. sanctions against Iran will cause a disastrous crude market tightening leading to triple digit oil prices, but their response to Thursday's news bulletins was, by and large, muted. Jim Ritterbusch, president of Ritterbusch and Associates, said in a note, "The demand side of the oil equation is always much more difficult to discern than the more transparent supply side and as equities slide amidst rate increases, the oil market could begin to discount a worst case scenario with regard to oil demand expectations." Tamar Essner, director of energy and utilities at Nasdaq Corporate Solutions, said Thursday's crude price drops were entirely expected: "There was a fare amount of bullish momentum and potentially froth in the oil market, so I think there was room to come down; if you think about it from a market technicals perspective, pullbacks are often around 5 percent." Kyle Cooper, president of IAF Advisors, told CNBC that, "I'm worried about supply, I'm worried about demand, but what I'm really concerned about is the difference between the two, and that shows up in storage, because that really reflects the difference between the supply and demand factors...[there was] a very large 9.7 million barrel increase in crude stocks here in the U.S....and so those stock have started to rebound, and it does appear that Saudi Arabia and Russia are possibly making good on their promise to bring mo0re barrels on the market." But overwhelming signs of an impending bearish market for oil didn't stop Paul Ciana, technical strategist for Bank of America Merrill Lynch, to still see potential for Brent crude to reach $92 per barrel and for WTI to top $85: "In an overbought pullback that seems to have just begun, we would consider buying Brent in the $77s and WTI in the $69s." Earlier this week the analytical and trading communities demonstrated how wildly divergent their forecasts are for the crude market, with Trafigura and others predicting prices in the near term anywhere from $65 to $100 per barrel.